Three of Mastercard’s female tech stars have been shortlisted for WeAreTheCity’s TechWomen50 Awards. The awards recognise emerging tech talent, highlighting up-and-coming inspirational females and helping create a new generation of female role models for the industry. Aisling O’Brien is an experienced digital payments professional with expertise in tokenization, APIs and digital wallets across the EMEA region. She has been instrumental in building relationship with major UK businesses, using Mastercard’s API platform to hold hackathons that engage developer communities. Following this, she spent 6 months in South Africa on Mastercard’s early career talent rotation program, where she launched tokenization and Samsung pay; one of the biggest developments in the industry since chip and pin. Today, she is working to scale and commercialise Mastercard’s Qkr app across EMEA. 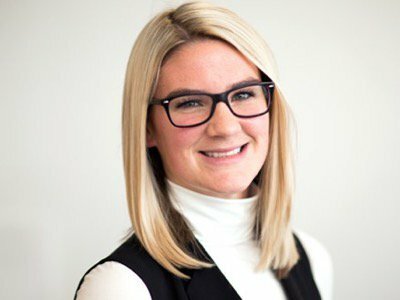 With a passion for personal development, Aisling is the chair of Mastercard’s Young Professionals group which works to advance personal development, be champions of tech and innovation, and be agents of change. She is also a part of the Mayor of London’s digital pioneer group, which is focused on engaging with London’s future talent to build their digital and technology skills. She is a mentor in a female mentoring program which empowers undergraduates who are seeking a job in business to build their self-confidence, and challenge them to discover their full potential. Vote for Aisling here. Eva-Maria Baumer is a manager in Mastercard’s Global Merchant Development team. She is responsible for developing and implementing global partnership programmes with consumer goods and technology companies. Eva leads the commercialisation and conceptualisation of technology-driven financial inclusion programmes that combine Mastercard’s digital payments technologies with partners’ distribution networks, to bring thousands of small retailers into the financial ecosystem. Before that, she advised Mastercard’s Senior Executive Management on strategic M&A and investment opportunities in digital payments and acted as the Chief of Staff to the President of Enterprise Partnerships for the development of country-level strategies. 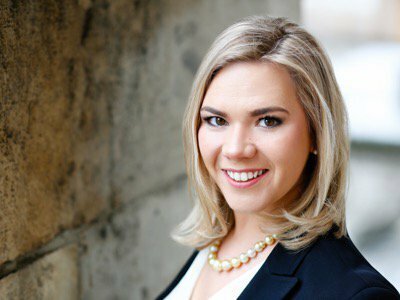 Eva started her career as a certified retail banker in 2006, has gained several years of sales and strategy experience in the financial services and technology industry and holds a Masters in Management from London Business School. In her free time, Eva leads the fundraising efforts at Anonymous Child, an international charity run by volunteers and focused on operating and managing education initiatives for disadvantaged children around the world. Vote for Eva here. Nicola Entwistle joined Mastercard in 2014 in the Digital Payments team. She is currently leading the digital strategy and development with banking customers, in order to enable consumers to use their banking apps safely and securely as a method of payment online with Masterpass. She previously led the engagement with banks and digital partners in the UK to launch one of the biggest developments in the industry since chip and pin: Mastercard’s tokenization platform, which enables mobile payments and digital payments such as Apple Pay. 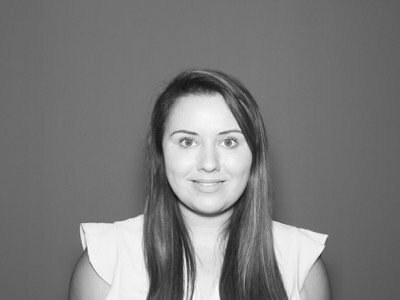 In 2015, Nicola was chosen as one of 12 worldwide candidates to take part in the inaugural career talent rotation program for Mastercard, consulting on digital strategy in Mexico City for six months and providing internal digital training sessions whilst working on the digital strategy for some of our largest customers in the market. Before working for Mastercard, Nicola worked in a sales role for an events company that specialized in payments conferences, and began her career in recruitment. Nicola is a key member and campaigner for the Mastercard European Women’s Leadership Network and a STEM ambassador, taking part in Girls4Tech, which encourages young girls to take up STEM subjects. In her spare time, she mentors female Masters students at the London School of Economics, providing advice and mentorship in order to open up opportunities for the future female pipeline in the technology sector. Vote for Nicola here.